Can regular and consistent media coverage of an issue or problem change hearts and minds and ultimately deliver positive and long-lasting changes? Yes it most decidedly can. Over the past two years I have been helping health advocate, Health Issues Centre, (HIC) bring the attention of the public to problems associated with mesh implants – initially pelvic mesh but more recently mesh implants across the board (hernia, transvaginal and rectocele). Back in 2017 public interest in the issue was low given that problems associated with pelvic mesh implants appeared to impact just a handful of woman. There was no national device register for patients undergoing pelvic mesh implants and the system for reporting adverse events, was seriously flawed. To all intents and purposes, only a handful were being negatively impacted. However the trickle of women approaching HIC with their problems soon became a river of complaints. The health advocate decided to take action. To get a handle on numbers, it would conduct its own research. In just weeks, over 2,400 women came forward with complaints. Media coverage of the issue was massive and the public justifiably outraged. A subsequent senate inquiry into pelvic mesh implants followed and in response to the senate findings, the Health Minister Greg Hunt issued a national apology and the promise of “sweeping action”. This action includes setting up a national register to maintain records of implant devices used in uro-gynecological procedures and adverse events. It will also include changes to information provided to women considering corrective prolapse and incontinence measures, the establishment of care pathways for injured women and changes to the risk rating applied to mesh by the regulator of medical devices, the Therapeutic Goods Administration’s (TGA). However, last year it also became clear that pelvic mesh implants were not the only problem … mesh more generally was. 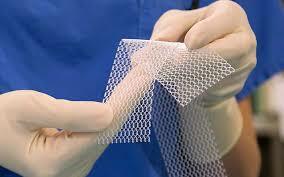 Once again, research by HIC revealed hernia mesh implants were a rapidly emerging but silent epidemic. HIC’s efforts were further bolstered by an investigation by the International Consortium of Investigative Journalists (ICIJ) and the ABC which highlighted serious problems with not just mesh but a range of medical devices. And the good news … the government and regulators is listening. Just last week, Australia’s health watch dog, the TGA announced that it is to tighten up medical implant regulation. This includes proposals to track medical implants (like plates, stents and mesh) with a barcode system and develop a system of mandatory reporting by doctors. So coming back to my original question: can publicity and concerted media attention help drive change for the better? By oath … it can!! Parker Public Relations provides done-for-you strategy, publicity and content for small-to-medium businesses and organisations. We also provide done-for-you thought leadership and personal branding services as well as DIY workshops for CEOs, entrepreneurs, innovators, change-makers and academics.